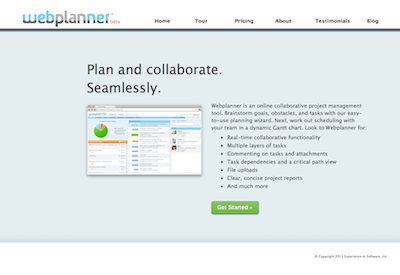 WebPlanner.com – Plan and Collaborate. Seamlessly. Webplanner is an online collaborative project management tool that is equally well-suited for small- and large-scale projects, for professional project managers and for those entirely new to project planning. Print out individualized to-do lists, communicate with collaborators, prioritize how you allocate your time, log and track progress, keep relevant documents on hand, and much more. Next post: Giveashout.com/SimplyEvents.com – What’s On Your Calendar?